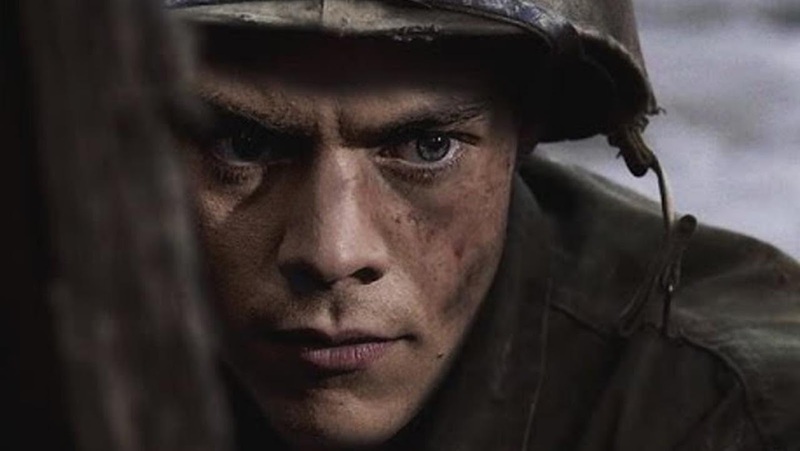 Home / CELEBRITY NEWS / INTERVIEWS / Harry Styles Marks Acting Debut in Christopher Nolan's "Dunkirk"
Harry Styles Marks Acting Debut in Christopher Nolan's "Dunkirk"
As one of the members of the global phenomenon One Direction, Harry Styles became one of the best-known musicians in the world. Now, he makes his feature film acting debut in Christopher Nolan's new epic action thriller Dunkirk (in Philippine cinemas July 20). Question: What can you tell us about your character and where he fits into the story of Dunkirk? Our part of the film is just a straight survival story, and what really sticks with me is the idea that when you’re a soldier – especially in a situation as intense and chaotic as this – it doesn’t matter what the guy next to you does or if you even know his name, if he’s wearing the same uniform as you, you’re a team. It’s you and him, and you’re going to get through this together – and that says a lot, actually. It might be flowery BS, but it’s just pure camaraderie. Q: What was it like meeting writer/director Christopher Nolan for the first time, and what impressed you the most about working with him? HS: When you meet him and spend a little time with him, especially on set, you understand why he takes so much time between films: he invests so much in every project he does. He doesn’t just churn them out; I think he would rather wait and know everything there is to know about what he’s going to do, and if he’s going to do it justice in a film. He has researched everything about Dunkirk to the nth degree – from the costumes, to hair and make-up, to lighting. Everyone, even people who have done their jobs for 20 years, all said that they learn something from him on every film. Q: How did it feel when you first arrived on the set and saw the scope of the production? HS: It was definitely bigger than you expect, but the best part about it was that even when all of this was going on around you, as soon as you started filming, it always felt like it was just you and Chris and the camera. I think he’s amazing at making you feel comfortable on set in a way that doesn’t stress you out. Q: What was the toughest aspect of the shoot? HS: It felt like someone pulled you out of the bed, dumped you in the water, and then put you back in bed. But those were good days. Those were the ones that you’d get back from afterwards and everyone feels like [whistles], ‘That was a big day’. Q: How much did you know about the events at Dunkirk prior to becoming involved in this project? 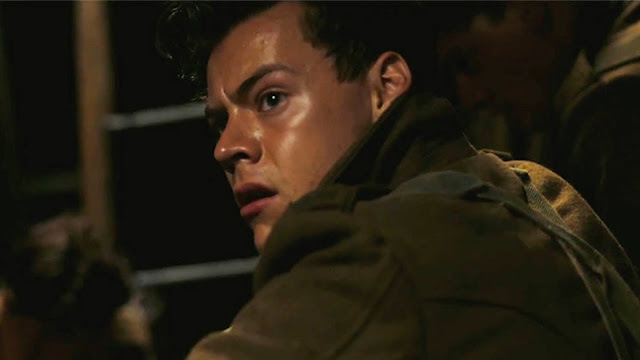 HS: When you’re at school, learning about history and World War II, Dunkirk is not as emphasized as some of the big battles, but it’s actually an incredibly important moment in the war. The world might be very different if things hadn’t gone the way they did. 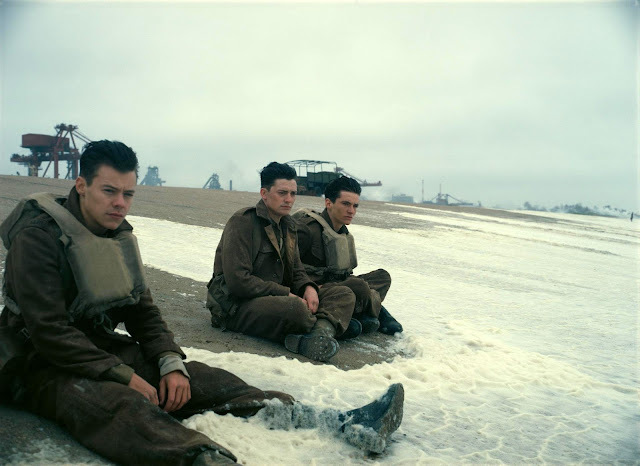 Dunkirk features a multigenerational ensemble cast, including Fionn Whitehead, Tom Glynn-Carney, Jack Lowden, Harry Styles, Aneurin Barnard, James D’Arcy and Barry Keoghan, with Kenneth Branagh, Cillian Murphy, Mark Rylance and Tom Hardy.